If you meet these criteria, please consider signing the statement by emailing contact@dissentfromdarwin.org. In our experience, expressing dissent from Darwinism can generate controversy and be unsafe, especially for those who haven’t earned tenure. If you have not received tenure, you may want to consider carefully whether you should sign. The fear of losing tenure or being censured has stopped many scientists from going public against the unscientific Darwinian evolutionary model. Anyway, since I qualify to sign the dissent document, I decided to do so today–essentially adding my name to a scientific paper, pleading that evolutionary flaws be exposed. FWIW, I have had numerous papers published in scientific journals over the past three decades. If enough scientists will sign this challenge Darwinism document, then perhaps academia will stop insisting that evolution is true and the only view of the origin of life that should be taught. Evolution is seriously flawed as can also be seen from our online animation: A Lifegiver or Spontaneous Evolution? Did most species slowly evolve like evolutionists have claimed for over a century? Mark Stoeckle from The Rockefeller University in New York and David Thaler at the University of Basel in Switzerland … published findings … sure to jostle, if not overturn, more than one settled idea about how evolution unfolds. The study referred to above also concluded that about 90% of species, including humans, arrived at about the same time. While there are dating issues, this basically proves that the explanation of species’ development as evolutionists have long claimed as fact, was false. 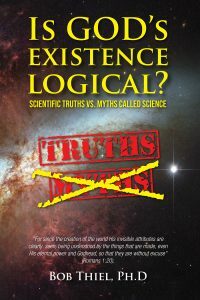 The evolutionary theories of every type, from the cosmological evolutionary epochs, abiogenesis claims, and the theory of biological evolution all try to claim they may know how all life, matter and energy developed without a creator. Something that actual laws of science show is not true. The truth is that for life to randomly begin and have the immediate ability to find/ingest/digest food and to reproduce ignores various laws of science. The other truth is that evolution is accepted by many who do not actually want to live God’s way of life, nor do those “believers” tend to take seriously the prophetic warnings of the Bible. Actually the Bible is supportive of the idea that those who accept theories like evolution have allowed their minds to essentially de-evolve, in the sense that they wish to believe a lie (Romans 1:18-32). Scientists who challenge many claims associated with evolution are shunned by many academic institutions, as there is a tremendous amount of pressure at most “leading” academic institutions to squelch research that is not in support of evolution as it will affect their beliefs. Thus, many in the academic world accept evolution, essentially like a false religion, since many of their friends and colleagues believe the evolutionary nonsense. Therefore, they assume that it must have been proven true. But it never has been. Actually it is impossible for the non-living to become alive as it violates the scientifically accepted law of bio-genesis (life only comes from life). But what if we allow the possibility of spontaneous primitive life to have occurred? Does it Make Physical Sense to believe in God? Some say it is not logical to believe in God. Is that true? Here is a link to a YouTube sermon titled Is it logical to believe in God? This entry was posted on Sunday, February 10th, 2019 at 4:00 pm	and is filed under Doctrine.